On February 25th, the Kuwaiti government abruptly announced that it would be cancelling a performance by Mashrou’ Leila, a five-member Lebanese alternative rock band that was formed in Beirut in 2008. Many were not fazed by the announcement. On the contrary, it was the initial invitation to perform that caught many by surprise, given the band’s famous history of stoking sensitive political embers in the region. In countries like Kuwait, where heavily enforced laws and cultural norms steer many to stick to themselves, stay hushed, and refrain from engaging in controversial political discourse, Mashrou’ Leila set an image for themselves that clearly communicates their willingness to engage in topics that are considered to be heavily charged in the region. With their proclivity for taking part in conversations that swim deep into the taboo waters of gender equality and sexual freedom, Mashrou’ Leila possess an openness that is not necessarily welcomed by some governments and parts of society—they have been barred from entering Jordan, among other countries in the region. In their song “Roman,” Mashrou’ Leila collaborates with Jessy Moussallem—an emerging Lebanese female director—to produce a music video with images of Muslim women that diverge from their stereotypical depiction as victms. As explained by Mashrou’ Leila in one textual description they provided for the video, the work attempts to “address Western reduction of Muslim women to victims,” with a focus of “treating oppression not as a source of victimhood, but as the fertile ground from which resistance can be weaponized.” In a similar fashion, much of the band’s other music directly condemns dictatorial regimes in the region. Their music is a potent mixture of euphony and a facilitator of public dialogue that allows it to criticize the politically oppressive environments into which the band members themselves were born. The conversations that Mashrou’ Leila are both starting and facilitating can be seen in more than just their music. In September of 2017, at one of their most attended concerts in Egypt, one audience member brandished the rainbow flag. Seen by 35,000 audience members and televised nationally, Ahmed Alaa—the flag-waver—unintentionally sparked one of Egypt’s worst crackdowns on its LGBT community. In an environment where deviation from the masculine heterosexual norm invites both legal punishment by the state and social alienation, Alaa’s statement brought legal consequences against him and some 100 other concertgoers, many of whom received prison sentences that ranged from six months to six years. Nevertheless, Alaa’s course of action and the ensuing consequences for many of the prosecuted LGBT Egyptians, motivated by Mashrou’ Leila’s politically and socially engaging art, started more conversations about the movement in both Egypt and the region. Through Mashrou’ Leila’s controversial, outspoken lyrics, the thread of silence concerning the mistreatment of many LGBT citizens by their governments was finally cut short. With openly gay lead Hamed Sinno, and its non-reluctance to vocalize topics of feminism, LGBT, equity and injustice, the group is often understood as a walking, talking, singing amalgam of the region’s most silenced taboos. Stirring endless controversy through their body of work, Mashrou’ Leila is but one of many examples of artists in the Middle East whose art transcends entertainment. Continually shaping culture in the region, Mashrou’ Leila’s influence in Kuwait and Egypt strikes a chord when it comes to revealing the power dynamics between art and government in the Middle East—and how the latter is often threatened by the former. In late November of 2018 in Mishref, Kuwait, artist and graphic designer Mohammad Sharaf installed over 200 tombstones with the names of banned books engraved on them adjacent to the annual Kuwait Book Fair. From philosophical writings by George Orwell to children’s books like The Little Mermaid, the makeshift graveyard was expansive in the literary selections it mourned. In what he calls a “symbolic piece of protest and public art intervention,” the artistic installations that Sharaf presented were used to protest Kuwait’s incessant ban on literature on arbitrary, unjustified grounds. 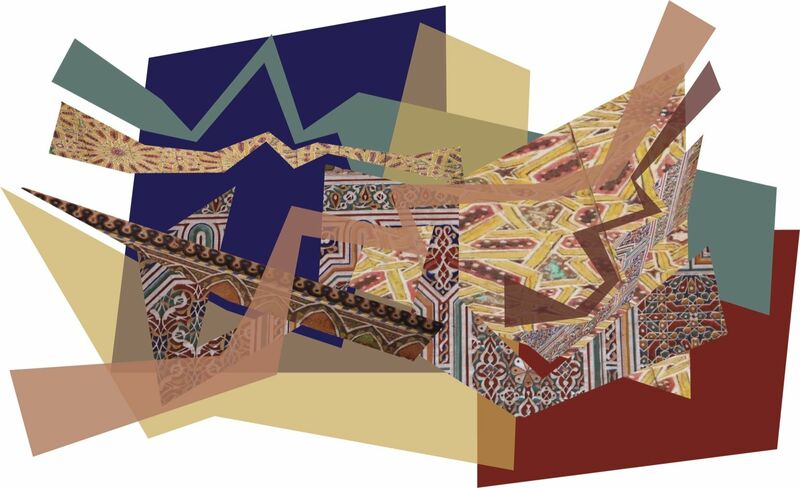 Although the piece was eventually removed because Sharaf did not have a permit to work on the land where his work was installed, it nevertheless motivated Kuwaitis to funnel their frustration with state-regulated artistic suppression into nationwide dialogue. More importantly, the incident highlights the presence of radical pockets in modern Middle Eastern society that create art as a means of processing and addressing injustice. These works garner mixed responses from a divided public, and indeed, conversation surrounding Sharaf’s piece were met with suppression. This suffocation of art in the region is never purposeless, but neither is it fully tied to the clash between tradition and art, which often comes to mind as the primary driver of conflict surrounding artistic censorship. Instead, suppression is driven from a perspective of power dynamics: In a region where there is a norm that conversations should not attempt to critique authoritarianism, artistic forms of protest—like Sharaf’s literary graveyard—prove to be some of the biggest threats to the political status quo. The contemporary Sudanese revolution is one such example where political and protest art have been a source of fuel towards rebellion. Propelled by a 30-year military dictatorship under Omar Al-Bashir, the demonstrations began in December 2018 after growing frustration from the Sudanese working class over deepening economic fissures and political neglect­­. The demonstrations reached their apex in the form of country-wide protests in December 2018, which remain active to this day. With chants of “Tasqut Bas” (you must fall) permeating every square inch of the streets of Sudan today, comes a dawning realization that a civil uprising of such magnitude has never occurred against Al-Bashir’s regime. By depicting the graphic struggles of protesters through installations and street art scattered all throughout Khartoum and the rest of the country, Sudanese artists are able to communicate the pain behind these demonstrations, and further alert the world of the ongoing injustices that are being committed by the Sudanese government. These artworks—which heavily use some of the materials used against the protesters, including tear gas canisters and bullets—go to great lengths to showcase the violence incurred on those brave enough to partake in the demonstrations. Such collected objects are connected together to create pieces that broadcast some of the protest chants, while others have used them to create sculptures and everyday objects like rings to contest the violence of the struggle through artistic means. These creative bodies of expression are an inextricable part of the Sudanese revolution, and are used in the absence of freedom to amplify the voices of the protestors. Another form of art that is particularly important for both those in Sudan during the protests and those in diaspora is poetry and spoken word, which is deeply embedded within Sudanese culture and folklore. From the fervent, ever-appreciated poetry of Mahjoub Sharif—a Sudanese activist who passed away in 2014—to the contemporary poetry of young Sudanese artists much like Emtithal Mahmoud, the historical struggles of Sudanese people find a medium through which they can be amplified. In Sudan, even the mere act of making satirical portraits of the president is punishable by law. ­The 2018 press freedom index from political advocacy non-profit Reporters Without Borders ranks Sudan 174th out of 180 countries with regards to press freedom. It is odd, then, to see such a heavily mobilized protest in such a stifling space; this spontaneous wave of motion and frustration can be traced back to various vehicles of art from Sudanese artists that provided many with brevity of voice and capability of demonstration. This recent push towards participation in forms of artistic empowerment could be attributed to the increase in anonymity garnered by the presence of social media and other global platforms, which allow many to stay under governmental radars and even provide Sudanese people in diaspora the opportunity to become involved with the movement. As more people join the protest behind this wave of revolutionary art, the contributions of self-perpetuating protest art as the face of the demonstrations becomes explicitly clear. Sudan echos other protests that occurred in the region—such as the ones that rippled through the Arab world in the spring of 2011 in Egypt, Tunisia, and Libya—and this intertwining relationship between art and revolution can be considered as a mirror image to an extent as well. Nevertheless, it would be reductive to even attempt to encapsulate all Middle Eastern nations’ reactions towards the arts as something that follows the previously described trends of Kuwait, Egypt, and Sudan. Regardless of the fact that politically motivated art does pose a threat to some of the traditional customs that are upheld in the Gulf, the Levant, and North and East Africa, it is still nevertheless an integral part of the region, which flourished involuntarily regardless of authoritative attempts at its suffocation. Political art's contemporary presence—and excellence—is undeniable, and it is leading both civil revolutions, such as the one in Sudan, and intellectual ones, like the women’s rights movement in Saudi Arabia. Art, to an extent, now has more space to breathe, which can be attributed to ongoing struggles against attempts to suffocate it. MOHANNAD JABRAH B’22 is looking forward to seeing Mashrou’ Leila live next year.